I’m not sure how, but it’s been one year since I started The Messy Cooker. It’s had its highs (becoming a latke!) and its lows (cutting my finger while making gummy worms), yet I’ve enjoyed every single moment of it (despite the copious amounts of blood from the low times).This week, I’d like to share one of my favorite recipes plus a personal moment that goes along with it…which may or may not harken back to my high school years. “Are these cupcakes chocolate?” A suburban mom (complete with blonde highlighted hair and thick makeup) asked, as she glanced hungrily at the tasty desserts laid out on the choir’s concession stand. “They’re vodka Kahlua” my mom replied. A look of disgust and horror slapped across the suburban mom’s face. Kids were walking around the choir building, mouths covered with the sweet, sticky treat. (Even the four-year-olds). “How could you serve this to CHILDREN? ?” she snapped. And, almost as dramatically as the kids performing on stage just 30 minutes prior, the suburban mom threw back her scarf, turned the other way, and marched over to her child, removing (to their discontentment) their wonderful treat. I know what you’re thinking…and no, my mom and I didn’t serve minors alcohol-laced cupcakes. The suburban mom didn’t stick around long enough to learn that alcohol burns off during the baking process. BUT how funny would that be, if all the kids were drunk and giggling helplessly as their brothers and sisters sang old Latin hymns on stage? Now THAT would have been a choir show to my liking. (I performed in that show, but will spare you the awkward photos). [Note on the frosting: I usually serve these cupcakes with powdered sugar on top, because in all honesty, it doesn’t need the frosting. BUT! I wanted to be fancy schmancy and invent some frosting, so I cooked up homemade hot chocolate frosting (that is alcoholic). It pairs pretty perfectly with the cupcakes, if I do say so myself. But you’re under no obligation to use it, especially if you’re short on time. Powdered sugar will (sugarly) do the trick! Time: Cupcakes (25 minutes), Frosting (20 minutes), Together = 45 minutes. Butter down. Let your butter sit out for 2-3 hours, so it gets nice and mushy. Trust me, this’ll save you time later. And now…put your cake in cups! Grab a medium-sized bowl and combine everything dry: cake mix and instant pudding. Mix until the color is one and the same. Grab a large bowl and combine everything wet: eggs, canola oil, vodka, Kahlua, and water. Gradually mix (or whisk) the dry ingredients INTO the wet ingredients. FYI this avoids clumping, so people don’t bite into chunky cupcakes. No one wants that. Couldn’t think of anything worse, actually. By the end, the batter should have some body, but not be too thick or too runny. * Trick: Give the batter a nice twirl and if you see some solid swirls in the batter, you should be fine. *Note: I foolishly added the wet ingredients into the dry, and suffered. Seriously, if you take a look at my photos you’ll see this struggle. Using the 1/3 measuring cup, scoop the batter into the cupcake cutouts. Aim for filling them about three-fourths way. I always overshoot and end up with giant cupcakes…I like big cupcakes and I cannot lie! *musical break*. Then, bake for 12-17 minutes (mine took 17 minutes, but remember…giant cupcakes). Using a mixer or a whisk, squish the softened butter and mix it around until it’s fluffy. Add in the hot chocolate packets, one at a time. It may look too dry here, but don’t worry! Start adding the sifted powdered sugar, ½ cup at a time. Keep mixing! Now for the alcohol…add the vanilla extract, vodka, and Kahlua. Mix, mix, mix! This will sound weird, but I found my frosting to be too dry still, so I put it in a small pot and cooked it over medium heat for 2-3 minutes. Then, I put it in a bowl to let it cool. I recommend the same to you! *Note: if your frosting isn’t cooling fast enough, you can always place it in the freezer for a bit. Let BOTH the frosting and the cupcakes (they should be done by now) cool before adding one to the other. 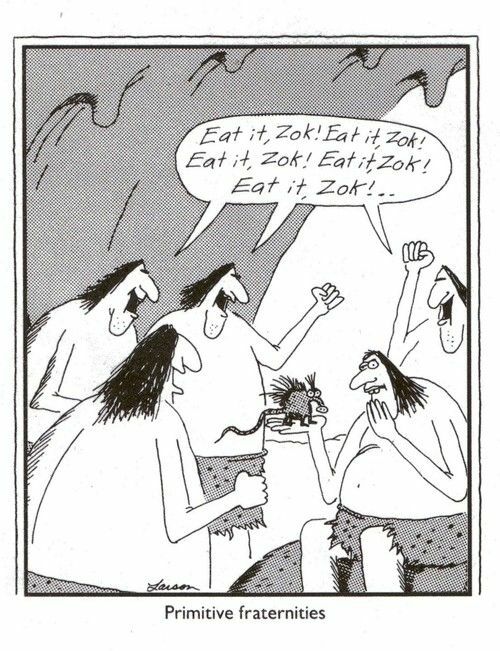 Then, eat it, zok. *Trick: if you stick a toothpick in the deepest part of your cupcake and it comes out clean, it’s done! To make your cupcakes more festive, you can add sprinkles, like I did! Or just stick with the powdered sugar trick, since the cupcakes are already pretty solid on their own. The first thing you’ll want to do is put the bottles of alcohol away, so your mother, brother, roommates, etc. don’t think you’re having a rough night. Just looking out for you here! There are more types of alcoholic cakes out there…how about some wine cake? Kahlua + ice cream? Yes please! Have extra Kahlua? 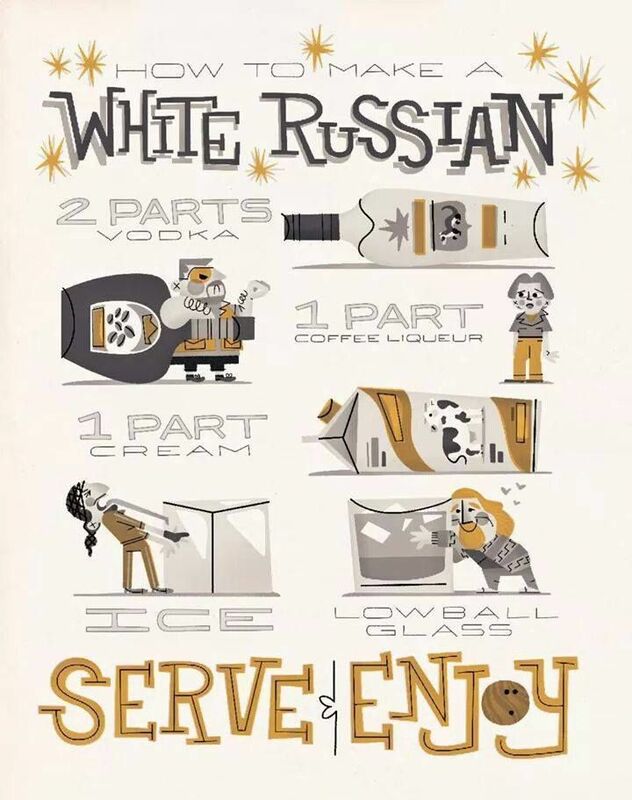 Make yourself a white Russian. Act like the dude.